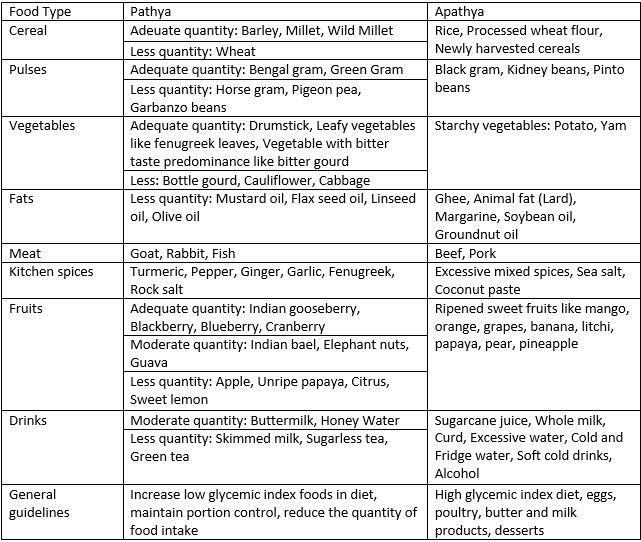 The Ayurvedic physicians careful in the diagnosis (managing diabetes) coined two terms to describe the condition of diabetes – Prameha (pre-diabetes) and Madhumeha (diabetes). In the same sentence that baptizes the terms these physicians were quick to point out that diabetes mellitus was a metabolic disease caused by overindulgence in pleasurable activities namely – an excess of rest, sweet diet and decreased physical activity. These prescriptions are known as Ahara (Diet) and Vihara (Lifestyle) in Sanskrit. Unhealthy lifestyle initiates and propagates the majority of type II diabetes. 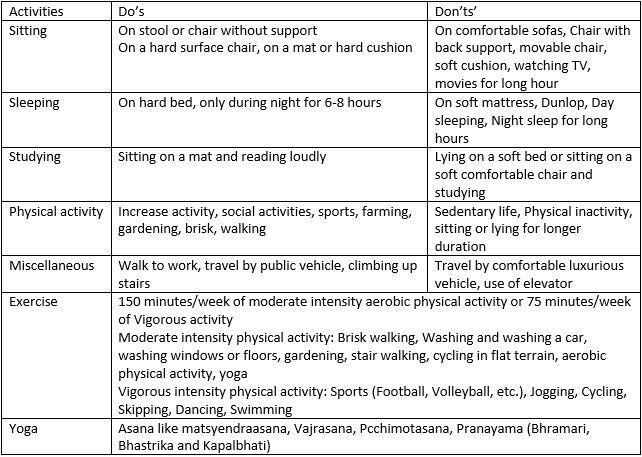 Lifestyle modification helps in managing diabetes. Though diabetes is difficult to cure, a proper lifestyle regimen helps in preventing the onset and the complications.